Spain's World Cup roller-coaster ride finally ground to a halt on Sunday and the finger-pointing began after their third consecutive failure at a major tournament. Following humiliation at the hands of the Netherlands in 2014 and a limp defeat to Italy at Euro 2016, this was perhaps the most galling exit of all, given it came at the hands of Russia, ranked 70th in the world, just above Macedonia and El Salvador. It would be a stretch to say Russia deserved their win, with 26 per cent possession and only six attempts at goal compared with Spain's 25, but they had a plan, stuck to it, and fought to the bitter end. A 4-3 victory on penalties, after the sides were locked at 1-1 at the end of extra time, sends the hosts through to their first World Cup quarter-final since 1970. Spain's dominance will do nothing to ease the disappointment following what can now be judged as a truly farcical World Cup campaign. Julen Lopetegui, the coach fired two days before Spain's opening match, and Luis Rubiales, the Spanish Football Federation president who fired him, will be circled as the key offenders. 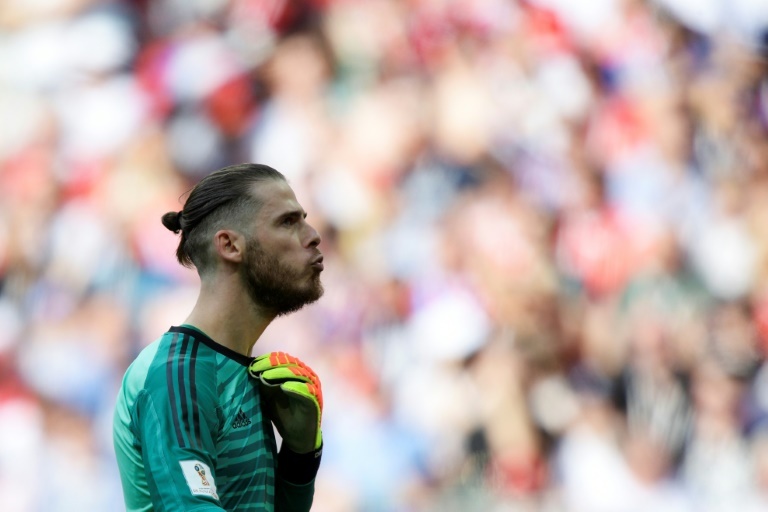 But Fernando Hierro, Lopetegui's replacement, and David de Gea, who endured a torrid tournament in goal, will take their share of the blame too. It was a pity that the last match of Andres Iniesta, who later confirmed his international retirement, in the end became little more than a footnote. 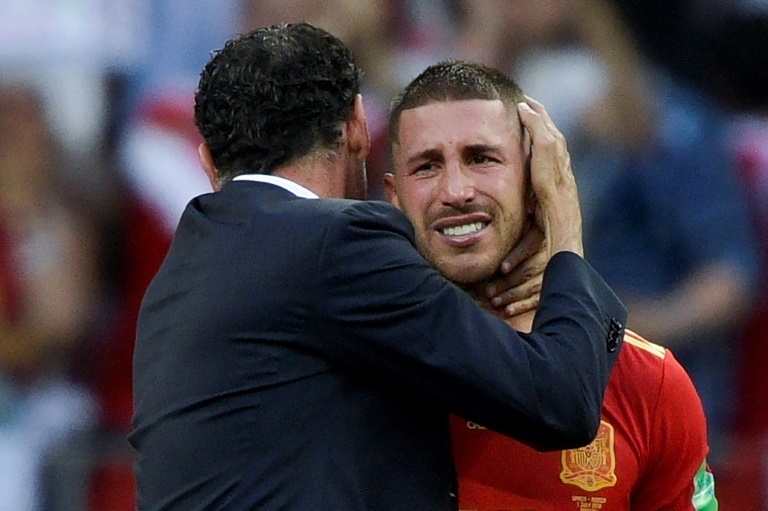 "What started badly, ended badly," wrote Marca. "All the problems began with the dismissal of Lopetegui and then continued with a team lacking in form and ideas." Rubiales was quick to make clear he felt no remorse for sacking Lopetegui, who was clumsy in the way he handled his pending move to Real Madrid, but seemingly dismissed because of hurt, personal pride. "Today there is pain, as we have been eliminated," Rubiales said. "But you can be calm when you know you have acted with responsibility, conviction and values. You cannot later look in hindsight because of a result on the pitch." Many would argue it was clear at the time that changing the coach two days before Spain's opening game was unlikely to benefit the team. With Hierro in place, however, there were positive signs against Portugal, when Cristiano Ronaldo's free-kick overshadowed an assured Spain performance in a 3-3 draw. But defensive errors and tactical rigidity soon came to the fore as poor displays followed against Iran, Morocco and Russia. Sergio Ramos and Gerard Pique were both guilty, the latter because of a handball that gave Russia their equaliser, but De Gea left as the principal villain. Against Portugal, he allowed Ronaldo's shot to slip through his hands. Against Russia, Igor Akinfeev starred in the shootout while he failed to save at least two spot-kicks he might have kept out. By the end, De Gea had made only one save all tournament. As the late stand-in, Hierro may be spared such stinging criticism but he dropped Iniesta and Dani Carvajal against Russia in Moscow, only to bring both on as substitutes, and then replaced Diego Costa with Iago Aspas, who arguably should have been on from the start. Rubiales sidestepped questions about who will be the coach long-term but Hierro is surely unlikely to continue. Whoever it is, they will now face the same two-pronged brief that Lopetegui was tasked with two years ago: to restore confidence and blood the younger generation. Of the starting eleven against Russia, only Marco Asensio will be younger than 30 by the time the next World Cup comes around. Pique, Ramos, David Silva, Costa and Sergio Busquets will be 33 or older. It means those left from the triple triumph of Euro 2008, the 2010 World Cup and Euro 2012 will either be gone or down to the last few and that could pave the way for an evolution of style too. A debate has emerged during this tournament around Spain's possession game and it might be that a new manager decides to update the old, winning formula. But for all the talk of tactics and generational change, Spain's 2018 World Cup will be remembered for a simple act of self-sabotage. This was the team that was ready and then on the eve of the tournament, sacked their coach.